GST shall be levied and charged on the taxable supply of goods and services made in the course or furtherance of business in Malaysia by a taxable person. GST is also charged on the importation of goods and services. A taxable supply is a supply which is standard rated or zero rated. Exempt and out of scope supplies are not taxable supplies. GST is to be levied and charged on the value of the supply. GST can only be levied and charged if the business is registered under GST. A business is not liable to be registered if its annual turnover of taxable supplies does not reach the prescribed threshold. Therefore, such businesses cannot charge and collect GST on the supply of goods and services made to their customers. Nevertheless, businesses can apply to be registered voluntarily. 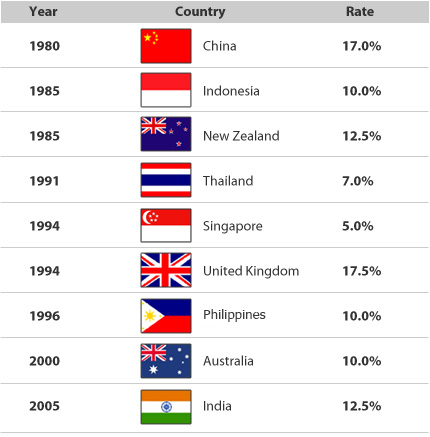 Almost all countries collect income tax, which is a percentage of what you earn as an individual. Another way the government gets revenue is by collecting tax from business operations, like sales tax and duties on items that are bought or sold. We need to pay tax so that the government can operate. GST is one method of collecting taxes which works better than others. The concept behind GST was invented by a French tax official in the 1950s. In some countries it is known as VAT, or Value-Added Tax. Today, more than 160 nations, including the European Union and Asian countries such as Sri Lanka, Singapore and China practice this form of taxation. Roughly 90 percent of the world's population live in countries with VAT or GST. On services provided by restaurants, hotels, telecommunications services, professional services by architects, engineers, lawyers etc. The proposed GST will replace the Government Sales Tax and the Service Tax. Sales Tax was introduced on the 29th February 1972 as a single stage consumption tax, levied, charged and paid on goods manufactured in Malaysia and imported. Manufacturers of taxable goods whose annual sales turnover exceed RM100,000 is required to be licensed under sales tax act. Those with annual sales turnover does not exceed RM100,000 are required to apply for a certificate of exemption from licensing. Sales tax is levied on locally manufactured goods at the time the goods are sold or otherwise disposed of by the manufacturer. It is called a single stage tax because sales tax is to be charged once only, either at the input or at the output stage. 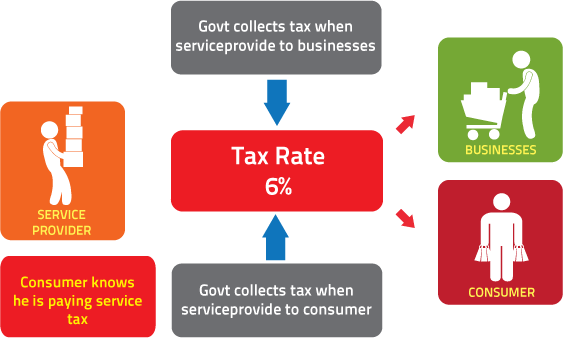 Service tax was introduced on the 1st March 1975 as a single stage consumption tax, levied, charged and paid on specific services provided by a taxable person in Malaysia. Service tax is charged and levied on selected taxable services as prescribed in the Second Schedule of the Service Tax Regulations 1975. 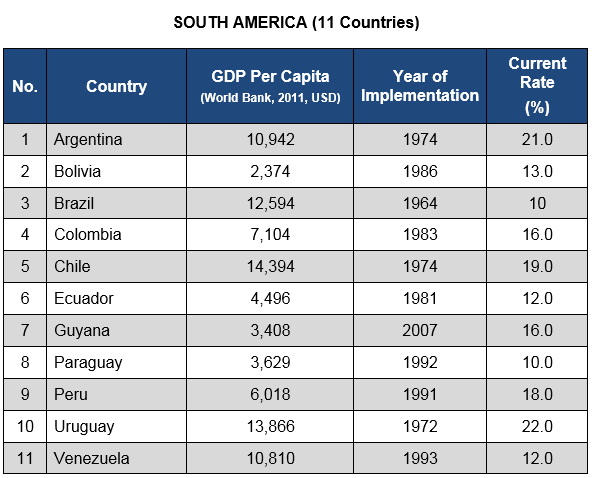 The detailed list of country are attached.